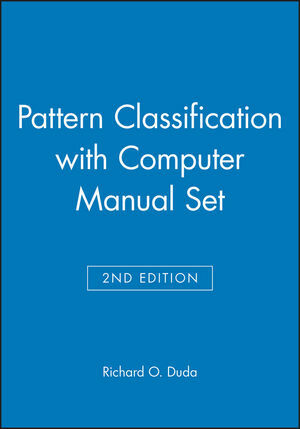 Computer Manual to Accompany Pattern Classification and its associated MATLAB software is an excellent companion to Duda: Pattern Classfication, 2nd ed, (DH&S). The code contains all algorithms described in Duda as well as supporting algorithms for data generation and visualization. The Manual uses the same terminology as the DH&S text and contains step-by-step worked examples, including many of the examples and figures in the textbook. The Manual is accompanied by software that is available electronically. The software contains all algorithms in DH&S, indexed to the textbook, and uses symbols and notation as close as possible to the textbook. The code is self-annotating so the user can easily navigate, understand and modify the code. DAVID G. STORK, PhD, is Chief Scientist at Ricoh Innovations, Inc., and Consulting Professor of Electrical Engineering at Stanford University. A graduate of MIT and the University of Maryland, he is the founder and leader of the Open Mind Initiative and the coauthor, with Richard Duda and Peter Hart, of Pattern Classification, Second Edition, as well as four other books. ELAD YOM-TOV, PhD, is a research scientist at IBM Research Lab in Haifa, working on the applications of machine learning to search technologies, bioinformatics, and hardware verification (among others). He is a graduate of Tel-Aviv University and the Technion. Chapter 1. 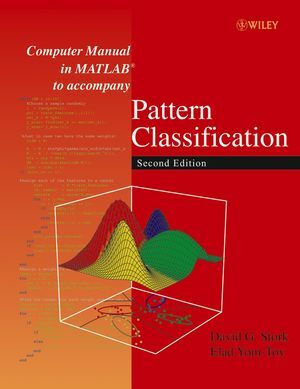 Introduction to MATLAB. Scalars, Variables and Basic Arithmetic. Chapter 2. Programming in MATLAB. Data, and File Input and Output. Loading the Toolbox and Starting MATLAB. Creating Your Own Data Files. Classifying Using the Text-based Interface. How to Add New Algorithms. Adding a New Feature Selection Algorithm. Information Site Access updated information and updated software for the Classification Toolbox.